Winter, Spring, Summer, Fall: Whatever You Do, We Have it All! There is so much to take in around Sunriver and Central Oregon. The outdoor activities are basically limitless. We want you to get the most out of all that you want to do. That's why we have partnered with companies like Lost Tracks Golf Club. Cascara Vacation Rentals and Lost Tracks Golf Club have had a long standing partnership. Lost Tracks Golf Club is a beautiful 18-hole championship golf course built into the tall pines of Central Oregon. The Brian Whitcomb design is a par 72 layout which offers subtle features that will challenge and excite golfers of all abilities. Lost Tracks Golf Club offers open play to the general public, but when you reserve a home with Cascara Vacation Rentals, you will receive a discount on greens fees and VIP treatment. We can set up tee times for you and we offer golf packages seasonally throughout the year. Another great partner of our is Wanderlust Tours. Wanderlust Tours offers half-day naturalist-guided tours and trips throughout the year in Bend, Sunriver, and Sisters, Oregon. Wanderlust Tours has specialized in outdoor tours, outdoor activities and things to do in Bend, Oregon since 1993. Renowned for our knowledgeable and professional guides, our small group tours take you away from crowds to seek out the quiet of the Central Oregon Cascade lakes, rivers, forests, and caves. We also partner with WendYourWay. WendYourWay offers you the option to create a vacation package of actives you want to do at a lower price. They are regularly working with us and adding new options. 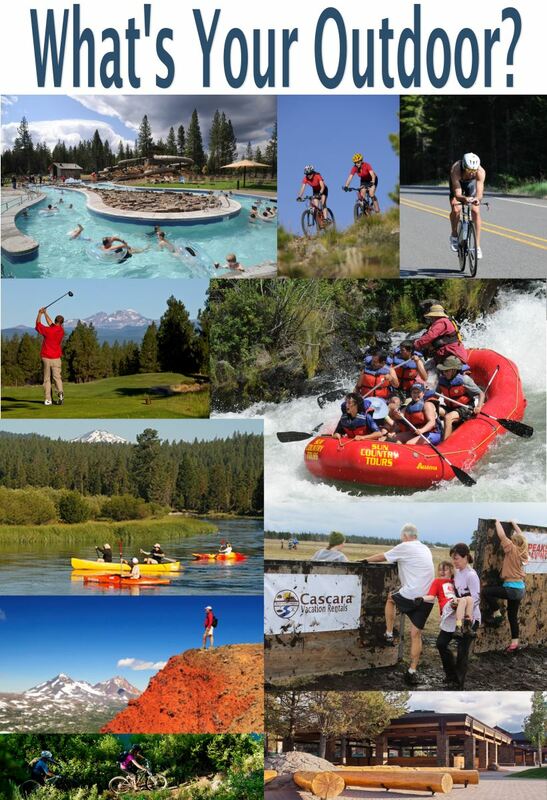 Please review the choices and make your Sunriver stay a great one! Because of our commitment, we are constantly adding or changing our services that we provide. Please contact our office for more information on our current services.